Some agencies make Christmas cards. Creature make Halloween ones. 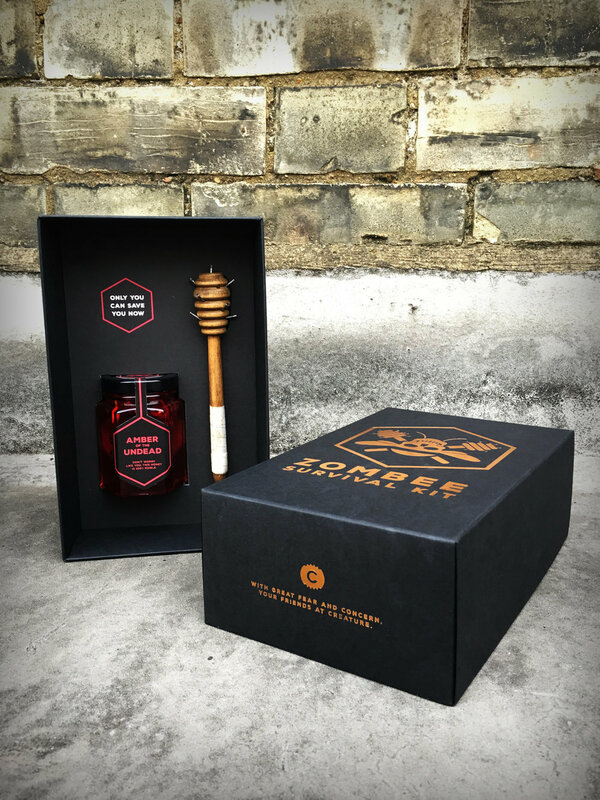 And because we’re the ‘agency with bees on the roof’, we weaponised honey dippers, put edible insects into honey, and wrote a Zombee survival guide. If you’d like to get your terrified mitts on one, get in touch. Dragged from the depths of hell with the help of Creature London. Illustrated under duress by Harrison Edwards.